A client of mine once claimed “good habits are harder to stick to because they are less enjoyable”. I asked her if she brushed her teeth before work in the morning. She looked at me oddly and replied “Yes, of course! Why wouldn’t I?”. I was quick to point out brushing your teeth daily is nothing more than a healthy habit established at a very young age to help promote good dental health… A habit my client has successfully continued her entire life. Establishing healthy exercise and eating habits doesn’t have to be any different or more difficult than adopting unhealthy ‘more enjoyable’ ones. Habits happen when we form regular and consistent routines of certain behaviours or ways of thinking. World class athletes only get to their level of physical perfection because of well established routines. Working out consistently, pushing their bodies to their limits, sports nutrition based diets and appropriate recovery make up a combination of the routines which athletes follow consistently to help them become world class. They start off as ‘routines’ which soon become regular habits. Trying to eat healthy on the go can sometimes prove to be a little challenging. A ‘reactive’ food plan normally results in buying nutrient poor and calorie high ‘convenient’ food. This can play havoc with both our goals and health. Instead, plan your meals in advance. Think about your day (or week) ahead… Try and plan what, where and when you will eat. 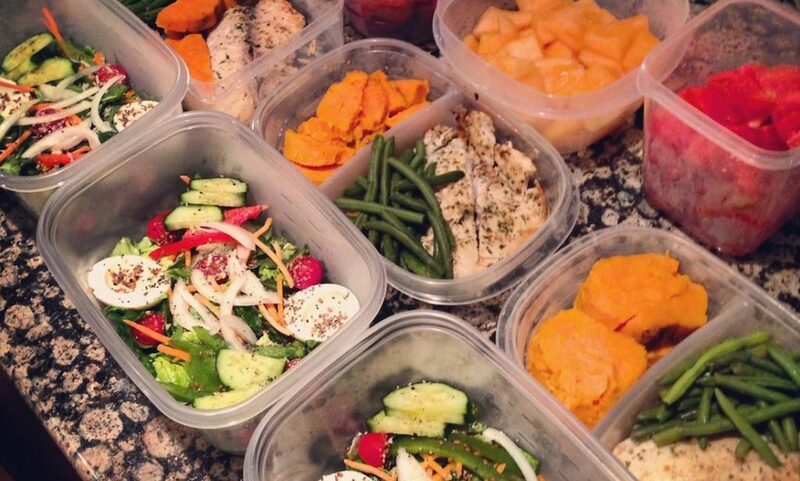 Batch cook when you have time or prep food/drinks the night before so you have breakfast(s), lunch(es) &/or your evening meal(s) prepared. This avoids time management issues or deciding what to eat on the go when you are tired, stressed or stuck at work. Finding time and prioritising time are two different things. To prioritise you have to put your training needs ahead of other agendas, such as; work, family time, sleep, relaxation, etc.. Sounds harsh, but I’m sure you will agree we all have busy lives. Work takes up a huge amount of our time, as does family life and all the other important things which take up the bulk of our days. 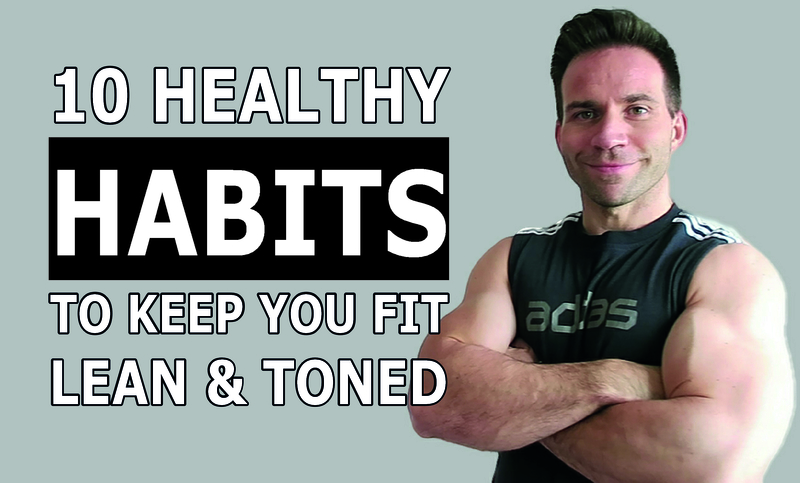 To be successful in fitness is to be consistent. Consistency is built around routines. Routines then need to be planned into our diaries weekly for them to become habits. It takes 28 days to create a new habit. After a month of prioritising workout time over other things, your new routine will become the new normal. If you want to stay trim, lose weight, put on weight or ‘bulk up’ to build muscle, you need to be tracking calories. Regardless of the quality of your nutrition, the outcome of your fitness goals will be governed by how much you eat. Eat too much, you gain fat. Eat too little, you are underfueling… Eat the same amount of calories your body uses every day (Total Daily Energy Expenditure) and you will simply maintain weight. This not growing muscle effectively or losing/increasing body fat (depending on your personal objective). Balance your calories according to your goals and your body will change for the better. Using a food tracker like MyFitnessPal is an excellent way of tracking calories. It’s easy to use, works across multiple devices and you can even scan the barcode on your food to enter it in. Simple. Macros (or macronutrients) are the three main food groups. Carbohydrates, Proteins and Fats. The problem with ‘reactive’ convenience eating is you will probably end up with a very high sugar and unhealthy-fat based diet. 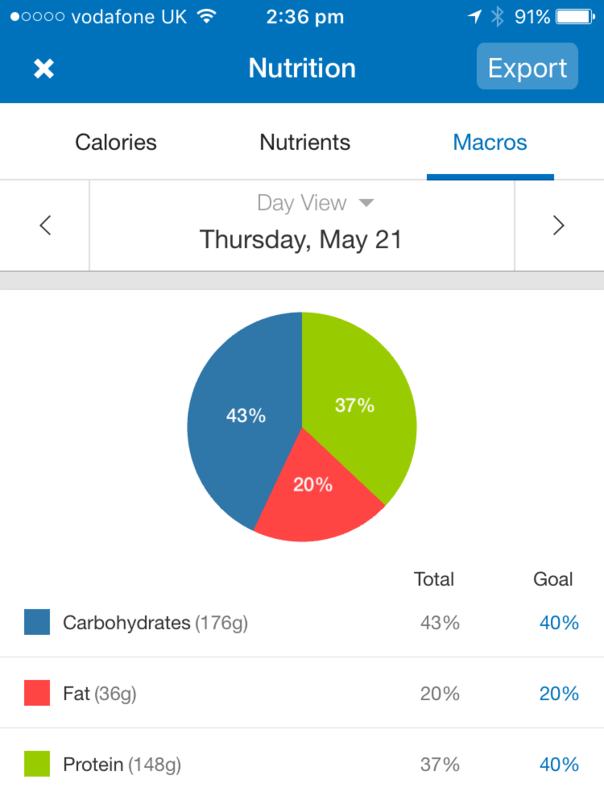 Luckily MyFitnessPal offers an extremely easy way of tracking your macros. Once you enter in your food, a Pie Chart is available to view which simply summarises your daily macro intake. Combine this tool with pre-planned meal prepping and your food plan becomes easy to manage. Temptation can come from two main sources – The voice inside our head (the inner or internal voice) or from friends or family who may tempt you (the external voice or peer pressure). Learning to say “No, thank you” is an incredibly useful habit to adopt for both voices. Saying “No” puts you in control of you. NO MORE emotional eating because your ‘inner emotions’ tell you that you need rewarding with food. NO MORE allowing friends or family to project what they want onto you. Take control and simply say “No, thank you”… You will feel amazing for having the strength to do what’s right for you. Carbohydrates are energy foods and a food plan without them is going to seriously hinder your energy for working out. Aim for naturally occurring fibrous carbs, such as; vegetables and slow release starches (i.e. brown rice, sweet potatoes and quinoa). Avoid refined carbohydrate foods as much as possible – For example; microwave meals, chocolate, sweets, fizzy drinks, crisps, etc. These are man made food products, chemically adjusted foods which cause unhealthy energy spikes and health related issues. Keep your food natural, colourful and simple. Stretching is a habit we should all include in our daily activities. Not only does it keep us injury free and functioning well, it makes us feel so much better. Stretching helps reduce physical stress, tension and brings about a feeling of calm. It also reduces life’s aches and pains, and helps reduce workout pain after resistance training. 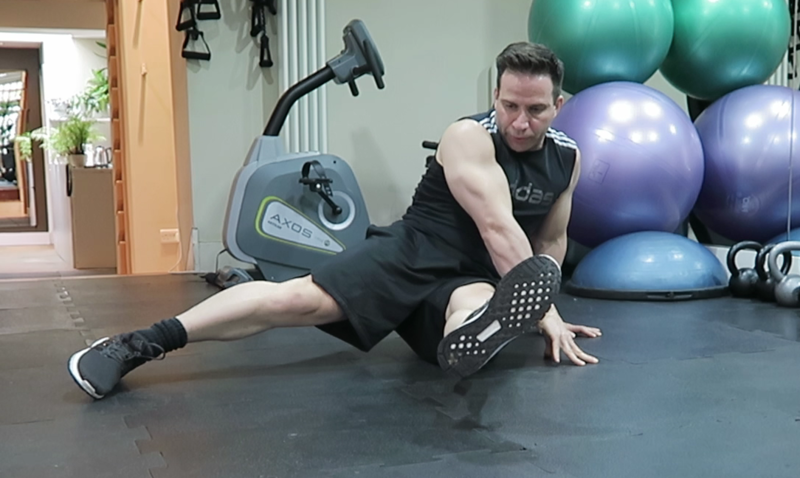 For a little motivation and a quick guide to get you started, check out my Dynamic Stretch Routine to help you warm-up before workouts and my post exercise cool down stretch routine. In my 20 years experience as a fitness trainer, I can categorically say the people who have the most success with weight loss (as a personal goal) are the people who aren’t focused on it. Losing body-fat is arduous. It takes time and is a slow process, even with good habits in place. Standing on the scales expecting to see amazing results after each gruelling workout will leave you feeling down and disappointed. Instead, focus on increasing your athleticism by achieving new physical goals. Hitting our targets makes us feel great! In fitness, being able to do something new which you never thought possible makes us feel amazing… Focus on feeling good through running faster, lifting heavier and just doing more activity in general, and the weight will fall off on its own. Moving around and being active is a little like our food habits – We all think we do it perfectly until we start tracking it. 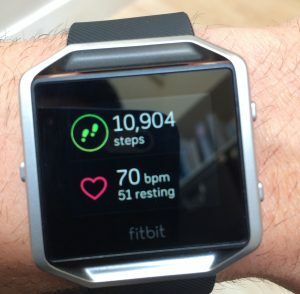 I have a Fitbit and I can tell you from personal experience simply wearing it and having your daily movement stats in front of you is a huge motivator. You start thinking about your daily steps in a way you hadn’t before. You make a conscious effort to become more active. Non Exercise Activity Thermogenisis (N.E.A.T) describes how it’s possible to burn fat and increase fitness outside of our exercise sessions by simply moving more. In simple terms, the more we move, the greater the positive fat-burning effect on our metabolism. 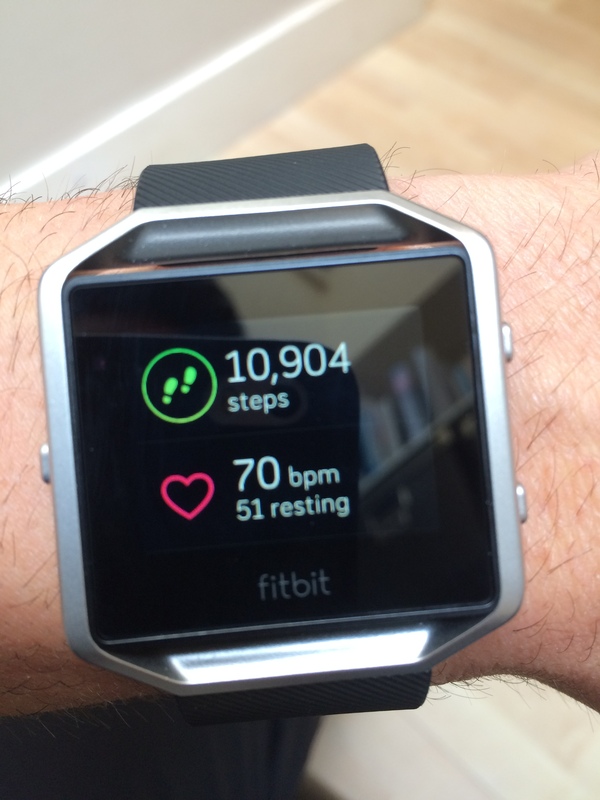 Tracking our steps allows us to measure, monitor and improve this key factor. Finally, it’s so important to have a good relationship with yourself, to ‘self-encourage’. So many times I have come across people who, despite doing their best, will always see the negative side of their efforts. While it’s important to push yourself and be ambitious, to strive for more… Recognition is equally as important. Acknowledge when you have done well. Enjoy the moment when you achieved a personal target/goal. Self-encourage rather than self-criticise. These are things which need to become habits before they become part of your personality if you are often negative about yourself. My advice is simply to establish a fitness routine which is fun and enjoyable, and focus all your attention on feeling better about you. Set personal challenges and enjoy achieving them. You may not be the fastest out there, but you will be lapping everyone sat on the couch.